I couldn't remember whether I'd ever posted these or not...which means clearly, the answer is no. 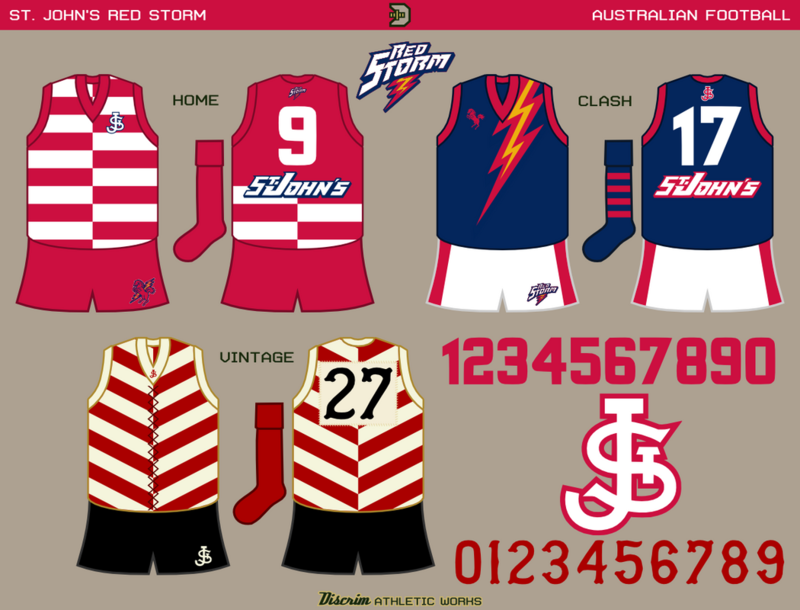 First, a bit of a trip back to the 90s with St. John's, though admittedly the only truly 90s part is the use of the old logos (not a huge fan of St. John's' current logos). It's a bit tough to see, but the number plate on the vintage jumper was given stitching. 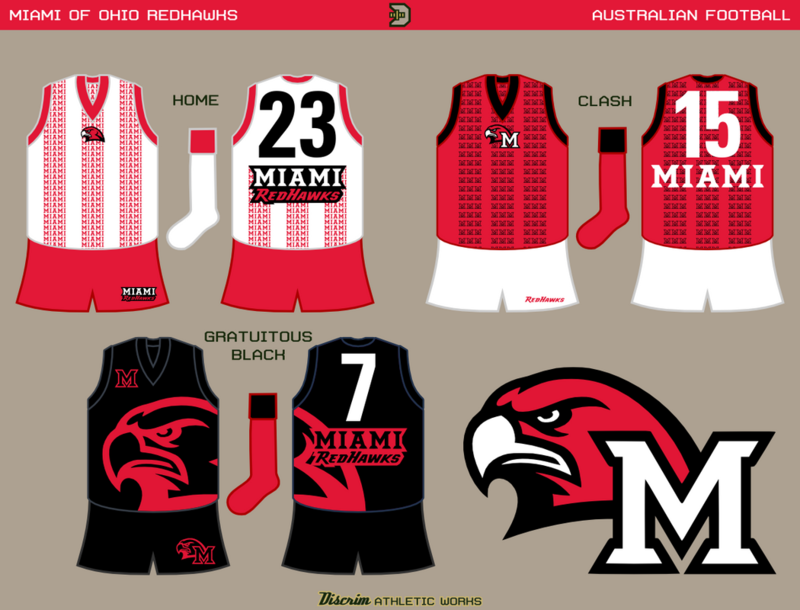 And I've been sitting on this one for a while...Miami of Ohio, where repeating elements were what I was going for. And a gratuitous blackout. 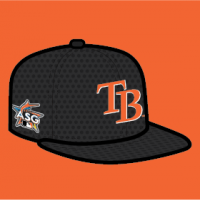 ...and this one was put together shortly after I read about the new logo...and I just now realized I forgot a rather important detail. Have you made a set for the U of M? Or can I make it an official request? I'm just trying to get into Aussie rules, and I love how these guernseys are almost any design, and they all look great! Assuming you mean the Gophers, I have once...but it was several years ago. So request heard. Yeah, you could've meant the bastards in blue or those dudes from South Beach...or Maryland. I'm glad you're still posting concepts on this topic! 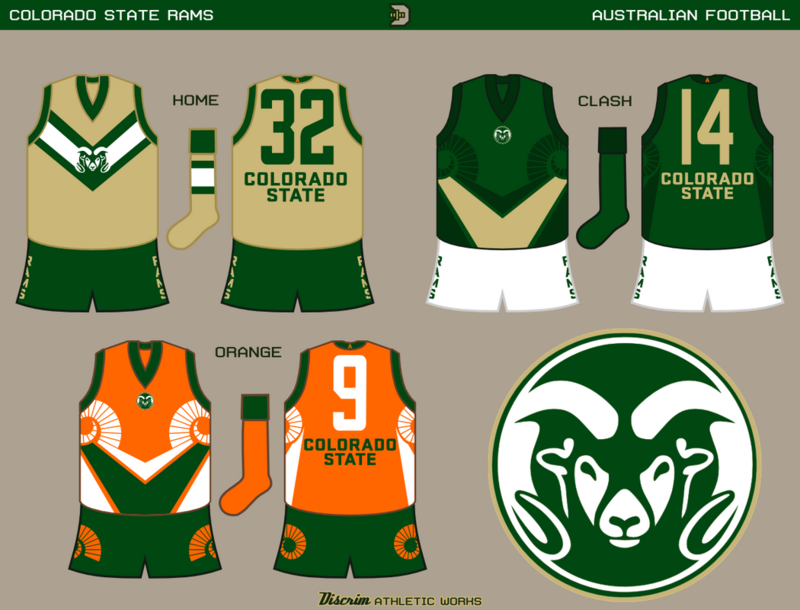 Would love if you'd make a guernsey for the Colorado State Rams. It took me a little while to figure out what the hell I wanted to do with CSU, but I think I came up with something. Not exactly sure what, but still. 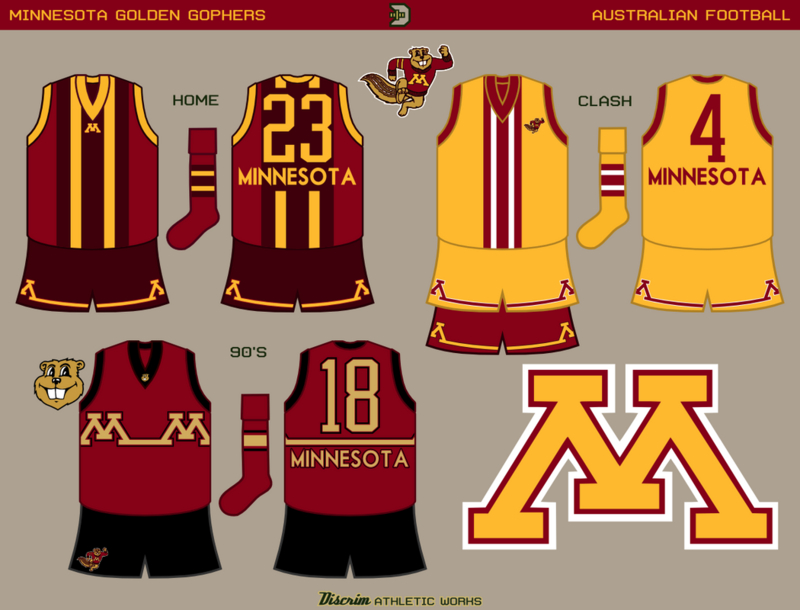 I'd actually had something else entirely in mind, but Goldy's tail gave me the idea for what I did here, such as including a darker maroon as an accent color. 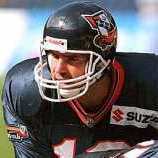 90's Day also beckoned, given that I figure Gophers football will never throw back to the M&M uniforms. 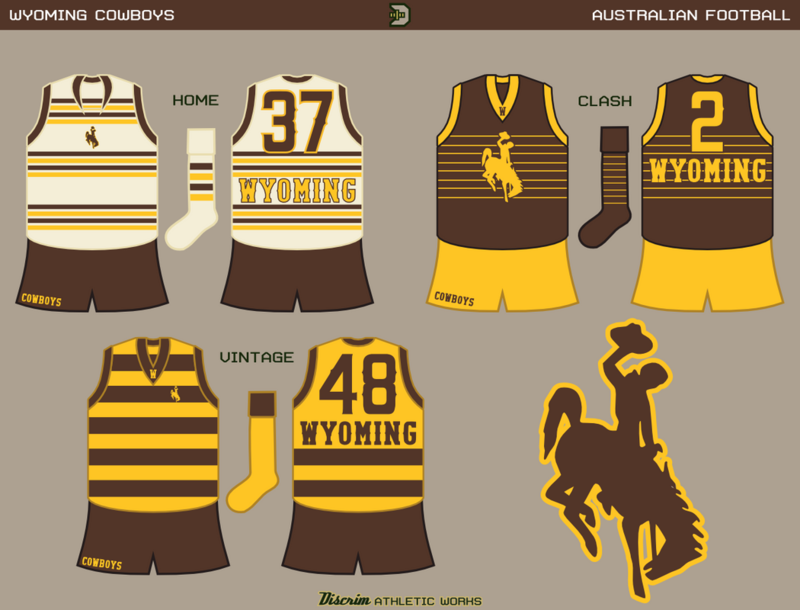 Finally, something I'd slept on for a few years, then returned to: Wyoming...I'd initially had the vintage jumper as the first choice....but then I came up with the cream beaut that eventually got the designation of honor. Normally, I would've gone with either something gold or something brown as the first choice...but it's like Jimmy GQ...just look at it, man. As a power supporter I appreciate the chevrons on CSU's home. Thanks! I went out and watched some local Aussie Rules, figures out the rules, and joined the club for their next season. 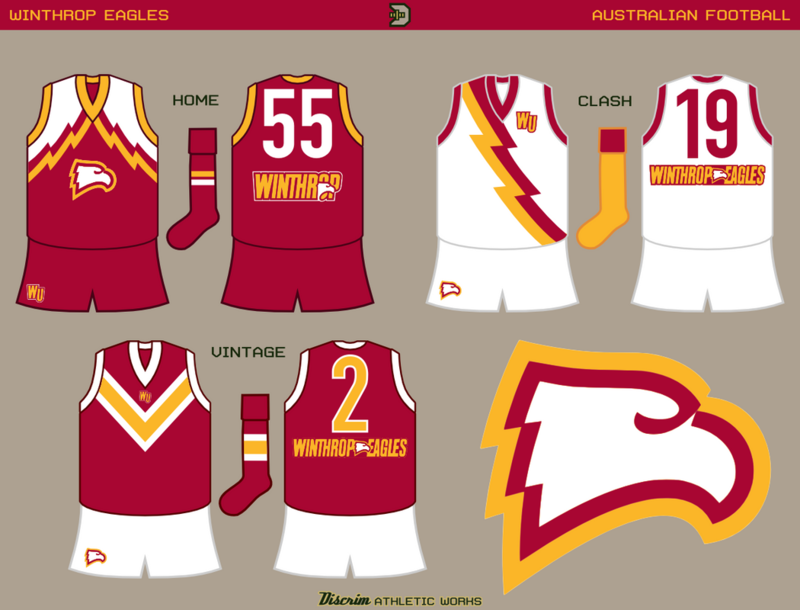 did a quick search for these concepts because I liked so much about this thread not knowing anything about the sport. Now that I do, I can fully say there’s some really really neat designs I wish were real! 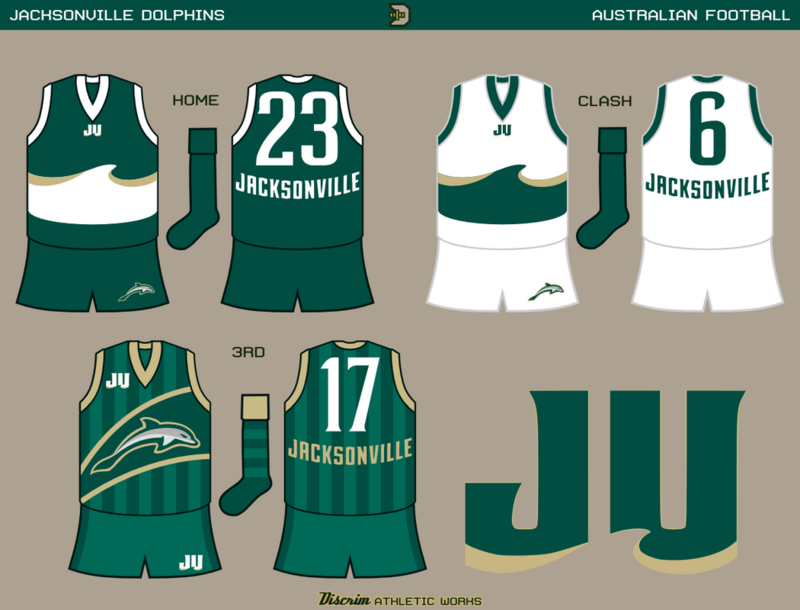 Apparently the Bucks have made my "Mecca uni" dream a reality. 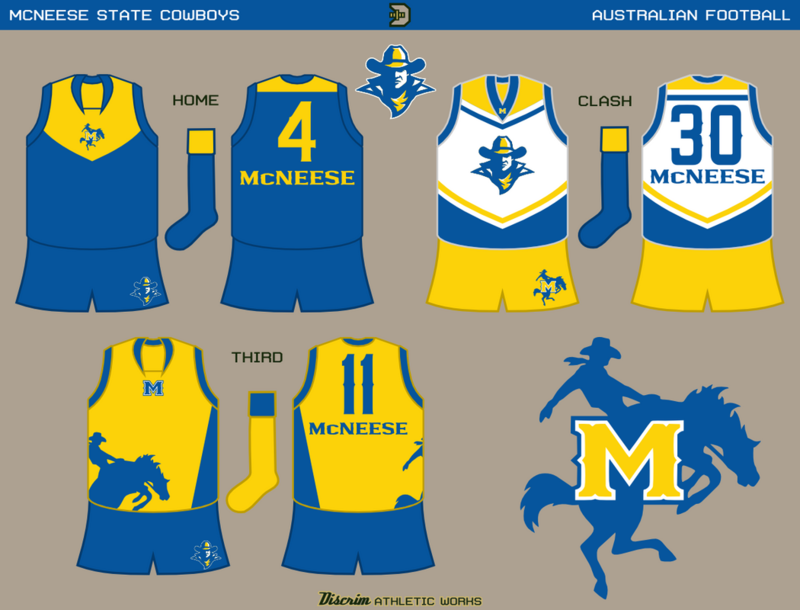 In any event, a few new things..first, McNeese State. First choice uses a Melbourne-style vee yoke, but with a bit of a curve to mimic a bandana. 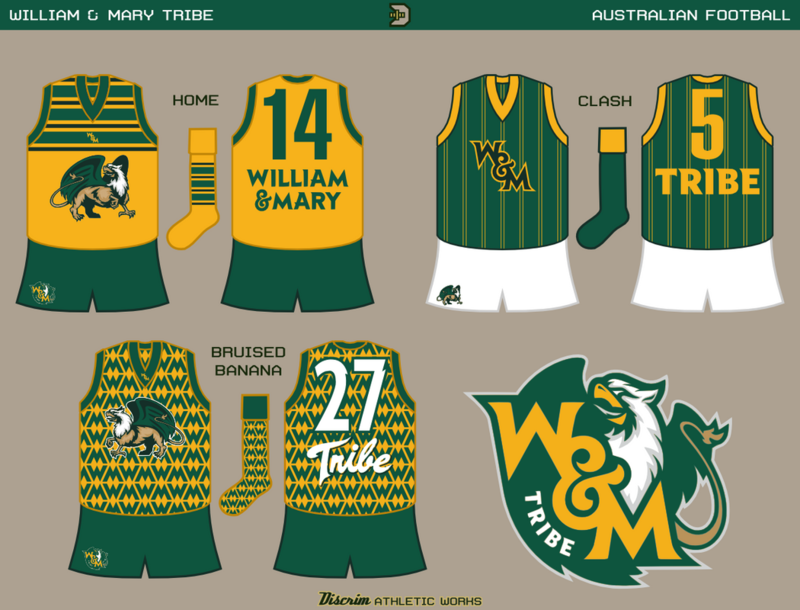 William & Mary...figured I'd play it safe-ish for the home and clash. The third, though....I shamelessly dipped into a well that'd served me well twice in hockey. I give you a footy version of Arsenal's bruised banana, with the V's becoming W's and M's. Nice job on my alma mater.